These muffins are easy to make and taste great. I adapted the recipe from The Joy of Vegan Baking. 1. Preheat oven to 350 and spray or line a muffin tin. 2. Mash 4 ripe bananas and set aside. 4. Add in the wet ingredients and stir. 6. Fill each muffin spot about 3/4 full. We are not big egg eaters, so I do not often have eggs in the house. 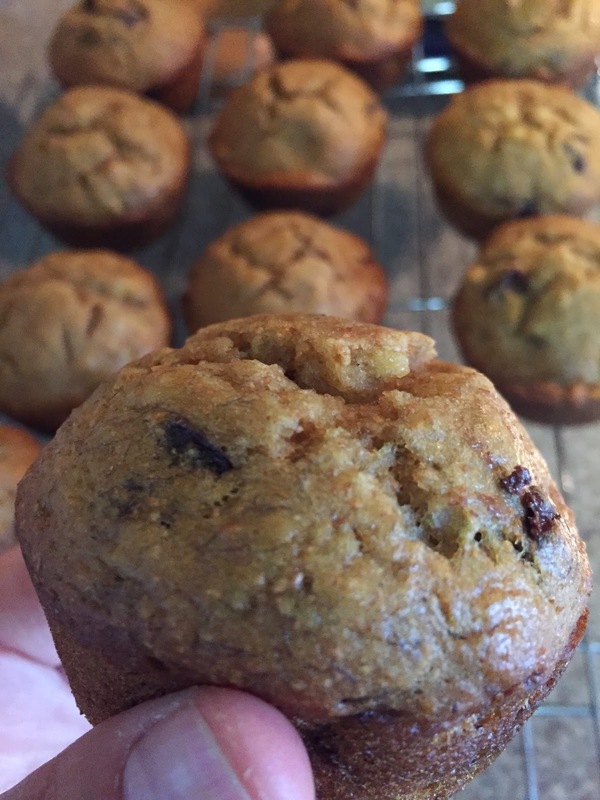 I love baking with bananas since they are a binder and taste great. I got 16 muffins from this recipe, which was enough to share with friends. What have you baked recently? I just made these and they are yummy! Thanks!